Shawn Wildermuth is touring 25 cities with this free, community event that teaches ASP.NET Core 1.0 and records his podcast live! This is coming to Montreal very soon! 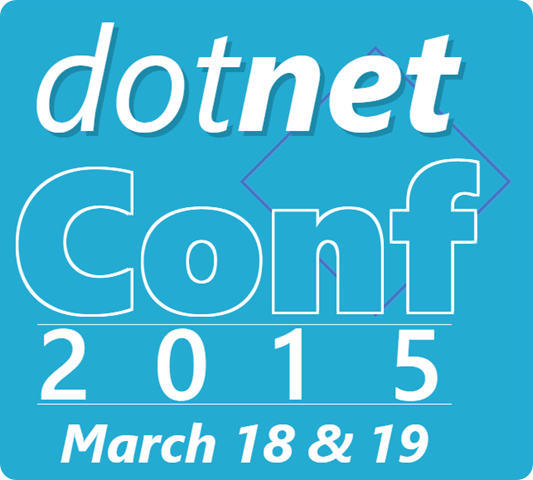 OH YES, a free ASP.NET Web Conf coming to Montreal!! This event is part of the Let’s Dev this Tour, organized by Microsoft, which in fact will offers 3 tracks: Web, Cloud and Windows 10. Yes, a real Microsoft conference back in Montreal!! 1 DAY. 1 VENUE. 3 DEEP DIVE WORKSHOPS – WEB. CLOUD. WINDOWS 10. The web content is based on the latest and greatest from the official ASP.NET Web Camp 2016. Other tracks link are available on the event site. Voici un nouvel évènement pour les développeurs web à Montréal! 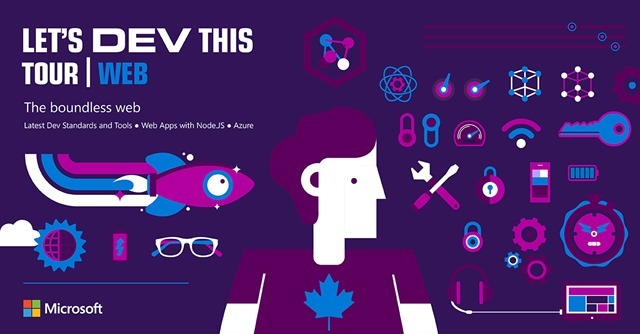 Le ASP.NET Web Camp se tiendra le samedi 18 avril 2015 dans les bureaux de Microsoft à Montréal. 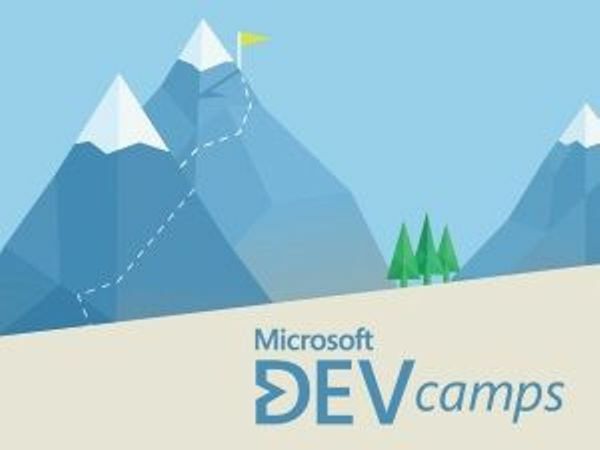 Cette journée complète de présentations et ateliers pratiques est organisée pour Microsoft par MSDEVMTL (Pas besoin d’être membre pour y assister). Hâtez-vous car les places sont très limitées!!! The .NET Conf is a free, 2 day virtual event co-organized by the .NET community and Microsoft (with great speakers such as Scott Hanselman…). You will be able to attend via live streaming on March 18th & 19th. 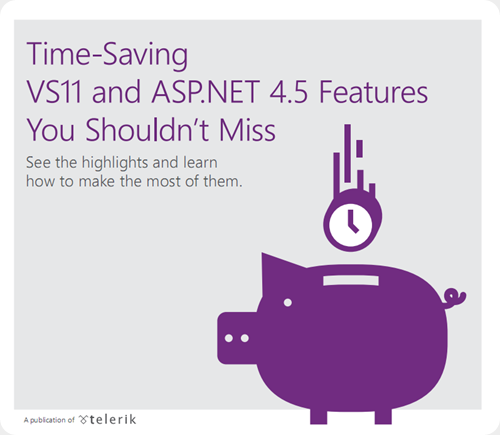 ASP.NET is moving fast, becoming a true modular cross-platform modern web development platform. If you are an ASP.NET dev and still wondering about Azure, the cloud offering from Microsoft, this is a presentation you don’t want to miss!! This meeting will be presented by Bill Wilder, MVP Azure from Boston, USA. They have created this amazing new ebook that you can download for free. More than that, you don’t even need to register to download the pdf, so it is free free! I strongly recommend this reading, you will not loose your time and will learn something new for sure! Back from vacation I’ve just received an email to say I earn my Microsoft Certified Professional Developer: ASP.NET Developer 3.5 certification (70-564), which I took in beta back in November 08. As an MCT that gives me the opportunity to teach more Microsoft courses (MOC). Interested in beta exams ? So after 70-536 and 70-562 this ends my .NET 3.5 certification path. I think next one will be WCF. Note: Please do not contact me for 70-564 preparation material or link request as I went there with no preparation (beta). 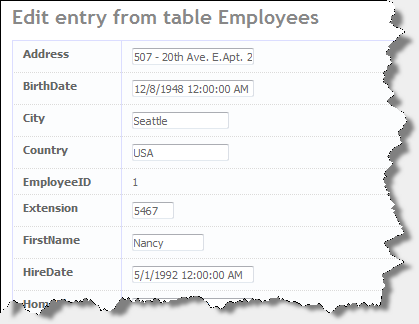 Following my first post on ASP.NET Dynamic Data, I want to show you that you can customize existing fields used by Dynamic Data very easily. 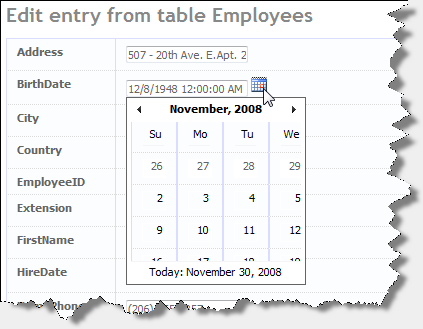 We could make this default user experience a lot better by changing the date input, why not add some AJAX here ? 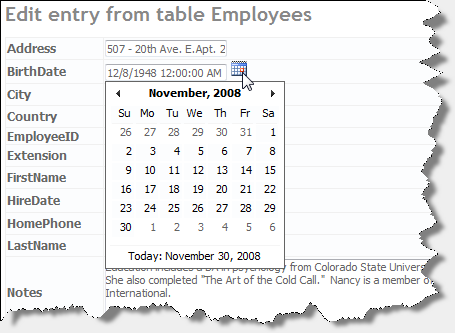 You can see that there is a DateTime_Edit.ascx control, open it and add an Image for the calendar icon and a CalendarExtender from the ASP.NET AJAX Control Toolkit. 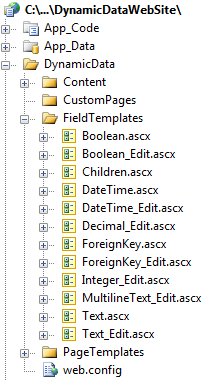 Note that the field is still fully functional without adding code, in a next post I will show how to create a new template field.